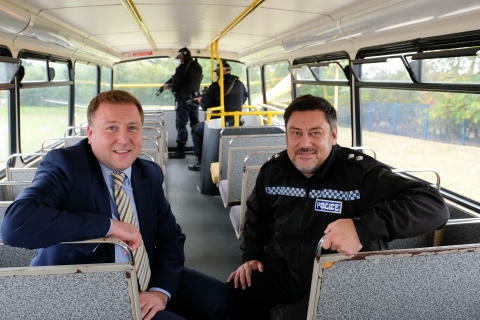 The double deck vehicle, which is already in use by the force, will operate as a key training facility for over 100 firearms officers and commanders across both police forces, teaching them how to act when faced with crises and threats to the public. From hostage situations and working with negotiators, to containing a bus for the community’s safety and helping injured passengers, the vehicle provides a realistic space at the Police’s tactical training centre, to carry out essential exercises and set-ups. Officers will learn how to get on and navigate around the space of a bus, how to deal with subjects on-board, how to properly organise themselves when working in emergency incidents and how to react when found in a threatening situation. In return earlier this year, Cleveland and Durham Police delivered essential training to Go North East’s senior leadership team and will shortly be carrying out similar training to the company’s control room team, on handling potentially difficult scenarios. 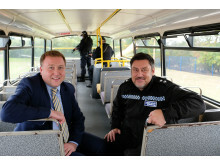 Inspector Karl Brown, of Cleveland and Durham Specialist Operations Unit, said: “Having a bus which has been used in real service makes our training more realistic. Our officers are able to understand the spaces they will be working in and how they will organise themselves, making the training more effective.